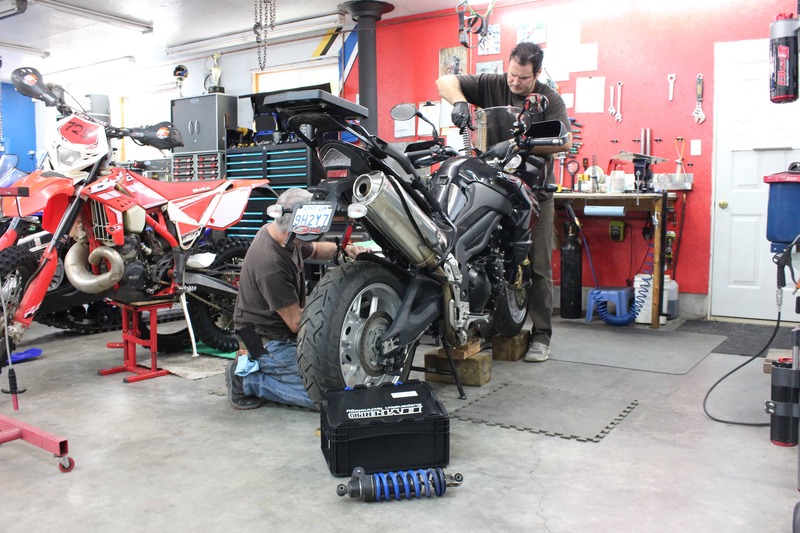 Data Acquisition on a Motorcycle… What is it exactly and What is it used for? What things are being monitored? 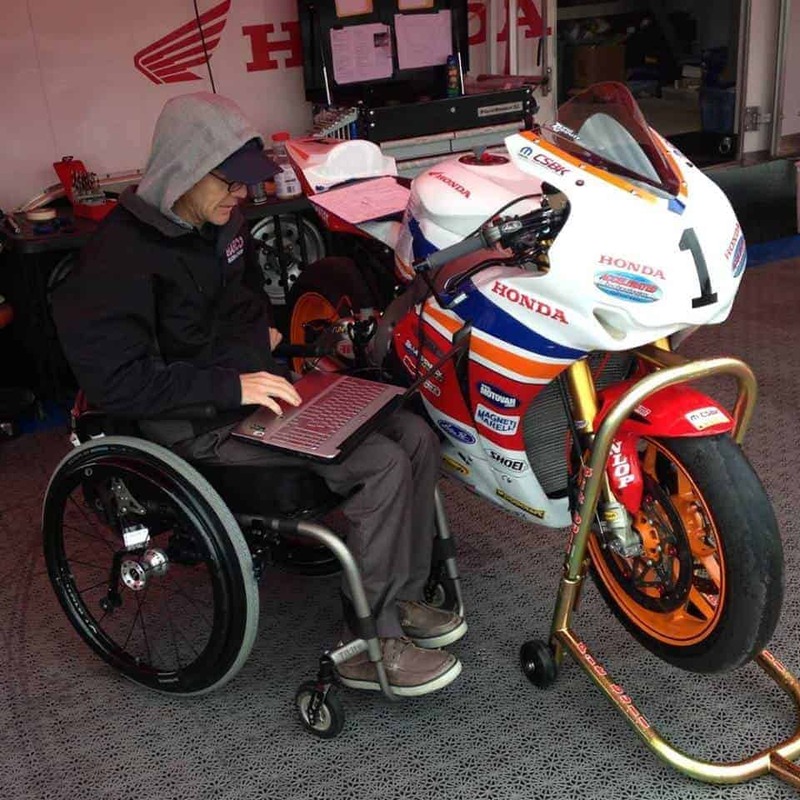 Sean writes: What can you tell me about data acquisition on a WSB or Moto GP bike, what are they reading, how does that information benefit them? Data acquisition as the name applies is all about information gathering. 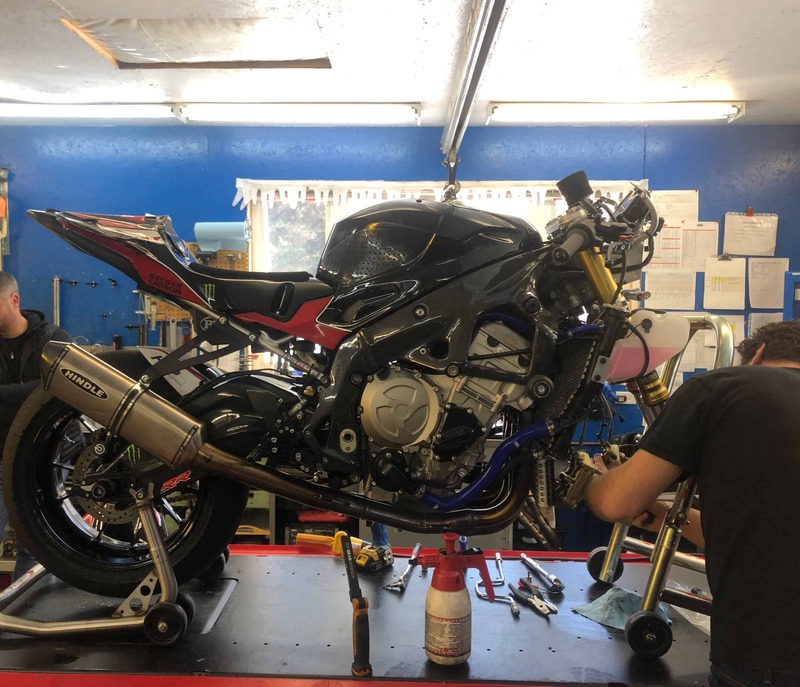 Race Technicians and tuners have always had the challenge of trying to make educated changes on a motorcycle to improve performance solely based on the rider’s feedback. Some riders are very gifted when it comes to giving their crew direction for changes, but they are a very small minority. For example, past Canadian National Champion Frank Trombino, often recognized for having incredible natural ability, has told his tuner Rob Egan on several occasions that his R1 was handling like a shoe. When asked to clarify, Frank repeated, “it’s like a shoe… don’t touch it”. Perhaps it was an equally exasperated tuner years ago that then turned to the bike (or car) and thought… gee, I wish I could ask you…! Well, that is exactly what the engineers are doing, they are asking the bike. Data gathering can roughly be divided into two sections, engine and chassis. Engine data gathering can be kept very simple or incredibly complex. The most basic entry-level engine monitoring system is going to record engine RPM, rear wheel speed and lap time. The data acquisition system will most likely come with a trackside beacon and an optional dashboard or display to give the rider the requested information. This very basic information can quickly tell you your maximum speeds, minimum speeds and when compared to your RPM, detailed gearing information can quickly be established. This basic data will also let you monitor sections on the racetrack to see if you are quicker as you do standard chassis and gearing changes. When you get comfortable with looking at the data, additional sensors can then be added as channels, budget and time allow. Water temperature would likely be near the top of the list, and then typically a front wheel speed sensor would be added to compare the front and rear wheel speeds to watch for wheel spin. Perhaps a throttle position sensor could be added to watch for the riders input to the package. If you were serious about monitoring the fuel injection, you could then add a live o2 sensor into the exhaust to monitor the air/fuel ratio coming out the tail pipe. This info, coupled with the TPS (throttle position sensor) would allow you to customize your fuel mapping not in a dirty dyno room, but live, on track at speed for perfect mapping! No more wondering how ram air or temperature changes the equation, look at the data and find out. 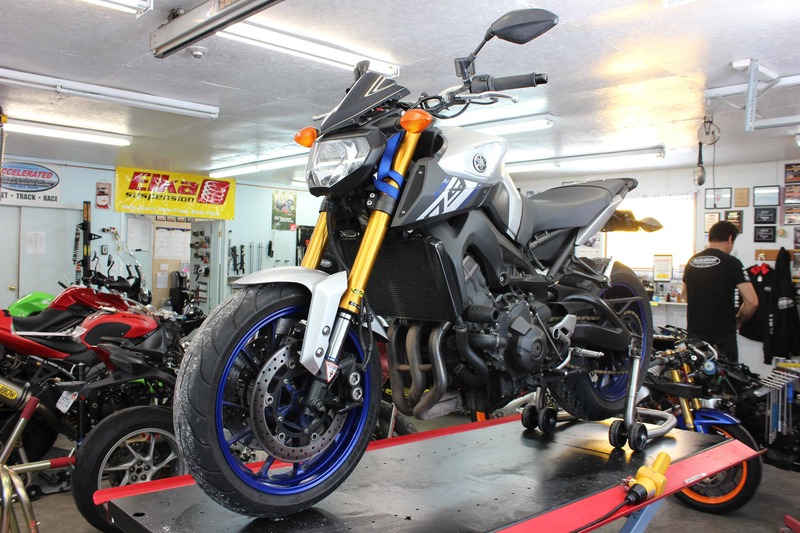 More comprehensive systems will also watch airbox or throttle body pressure, airbox temperature, oil pressure and temperature as well as gear position. Clever software engineers with access to a programmable ECU now have more than enough information to manage traction control. A gyro can be added to provide a perfect map of the track, which will allow the engineers to pinpoint exact problem areas on the track as well as address gearing issues for areas they feel are most important. Accelerometers will tell them if changes done to the engine or the chassis actually do make the bike pull harder, rather than trusting the riders ‘seat of the pants’ feel. The list of sensors goes on and on, and with each one added, the information available multiplies exponentially. Chassis data gathering can be far more complicated and harder to decipher than engine data gathering. Engine data can usually be looked at and then compared to a base line earlier determined to be optimal. If it’s too lean, richen it; if the revs are too high in an important corner consider changing the final drive or transmission ratio to bring them down etc. Chassis data, on the other hand, typically requires a lot more experience from the technician to decipher. Typically attached to the suspension of a WSB or Moto GP bike will be front and rear LDT’s or Linear Displacement Transducers, measuring front and rear wheel position compared against time. This little bit of data can provide a ton of information such as maximum wheel travel, average position, suspension sag, and rate of travel change to name just a few. Technicians, sick of kneeling down 10 times a day with their tape measure doing math upside down now need only to look at the laptop to track sag. Did their rider botch a big wheelie on the back straight crushing their O ring or zip tie all the way to the bottom of the fork, over writing the true maximum travel being used? They download and find out! They will then pour over the data, looking at where the suspension is in the travel as their rider brakes, turns into the apex, releases the brakes and accelerates out. They are watching for how much the front forks dive, how fast they dive and how quickly they recover. They will then watch the rear of the bike during the same period, is it tracking over the bumps at full extension, is it squatting appropriately on corner exit? All this info combined with the riders feedback will help them make changes to the preload, spring rate, compression and rebound. I have only touched on what a good chassis technician can determine from a few laps at speed around a racetrack. Other Chassis sensors may include pressure sensors in the brake line, to monitor when and how hard a rider is squeezing the brakes. It was rumoured to be an astute technician that figured out what was limiting the speed on a new ultra fast Moto GP bike. Apparently he noticed a slight rise in front brake pressure as the bike was approaching speeds of 200mph. After confronting the rider, it was determined that the windblast at that speed was applying force to the brake handle, just enough to effectively reduce top speed. During chassis development, sensors are quite often used to measure frame twist and flex, as well as handlebar movements to watch rider inputs. Non-contact infrared temperature sensors may be employed to monitor brake rotors or tire temperatures at several spots to help determine compound selection and estimate tire life expectancy. The list of sensors and with that the information available is endless, but perhaps I have given you some idea of what goes on behind the scenes when the bikes come off the track, the garage doors go down, and the rest of the team gets to work.